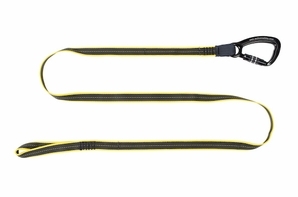 The 3M� DBI-SALA� Heavy Duty Hook2Loop Tool Lanyard is constructed from a tubular nylon webbing and is load rated for weights up to 80 lbs. The Hook2Loop tool lanyard features a carabiner with screw locks that prevent accidental opens. Designed to be used with most large hand tools..